It is with much excitement that we announce that East Coast Horse Transport is separating into 2 different services!!!! We are still the same people you’ve always known, now with more customisable and improved services! For all your SE QLD local horse transport needs, you can contact SOUTH EAST QUEENSLAND HORSE TRANSPORT on 0401 652 438. If you have a specific QLD requirement, get in contact and we will see if we can help. 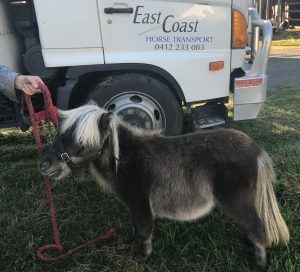 For all interstate transport down the east coast from Brisbane to Melbourne, EAST COAST HORSE TRANSPORT are servicing these areas! You can still contact us on 0412 233 083. We can also travel to inland NSW on demand, once again all you need to do is get in touch. Doing this enables us to provide more frequent services to keep up with demand! We are honoured that our clients have made us one of the most popular horse transport services in east coast Australia. For all your transport needs, you can get in touch via the contact form. Alternatively, you can message our Facebook page for a fast response. We look forward to a prosperous and busy 2019 getting your horses safely from A to B. See you on the road soon!